The Maytag Corporation, founded in 1893, specializes in manufacturing a variety of home and commercial appliances. The company was founded by Frederick Louis Maytag, with financial contributions from his two brothers-in-law, as well as George W. Parsons, known for his documented experiences with Wyatt Earp. At first, Maytag produced band-cutters, threshing machines, and Parsons' own inventions. The company was led by members of the Maytag family for three generations until the death of Frederick Louis Maytag II (the original F. L. Maytagâ€™s grandson) in 1962. 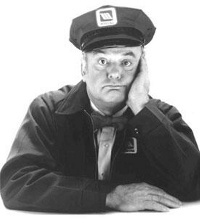 Ol' Lonely, the Maytag Repairman. Entering Maytag into the world of popular culture, Olâ€™ Lonley the Maytag repairman has been a recurring icon for the company in their ad campaigns. The Maytag repairman gave a friendly face to the brand and conveyed the message that their products are so reliable, they almost never need repair. Over the course of the companyâ€™s lifespan, Maytag has acquired many popular brands, including Hoover and Amana, eventually being acquired itself by the Whirlpool Corporation in 2006. Maytag is also the sole manufacturer of the Admiral brand, sold exclusively by Home Depot. Maytag brand refrigerators are manufactured by the Amana Corporation, based in Amana, Iowa. As a result, some Maytag refrigerator water filters are produced under the Amana brand name.